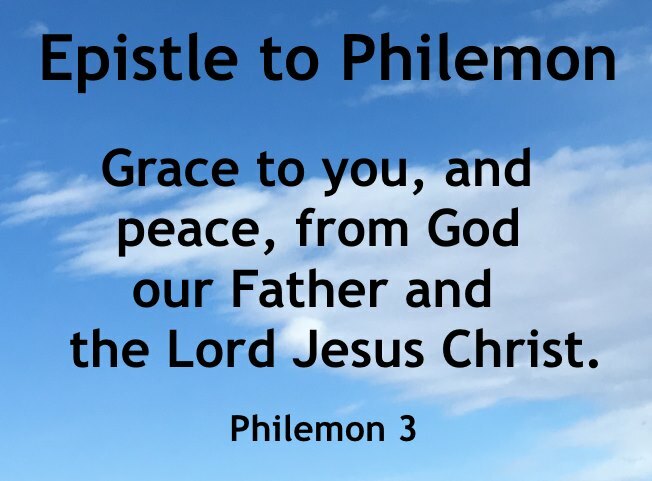 Philemon, Epistle to: was written from Rome at the same time as the epistles to the Colossians and Ephesians, and was sent also by Onesimus. It was addressed to Philemon and the members of his family. It was written for the purpose of interceding for Onesimus (which see), who had deserted his master Philemon and been "unprofitable" to him. Paul had found Onesimus at Rome, and had there been instrumental in his conversion, and now he sends him back to his master with this letter. This epistle has the character of a strictly private letter, and is the only one of such epistles preserved to us. "It exhibits the apostle in a new light. He throws off as far as possible his apostolic dignity and his fatherly authority over his converts. He speaks simply as Christian to Christian. He speaks, therefore, with that peculiar grace of humility and courtesy which has, under the reign of Christianity, developed the spirit of chivalry and what is called 'the character of a gentleman,' certainly very little known in the old Greek and Roman civilization" (Dr. Barry).